Up and running since 1996 this is the core part of the Union Group. Our experience spans the private and public sectors, and the local to the international. Creative and effective, our work has been recognised nationally and internationally. From our offices in Leeds and Edinburgh we are well placed to service clients anywhere in the UK, Europe and beyond. 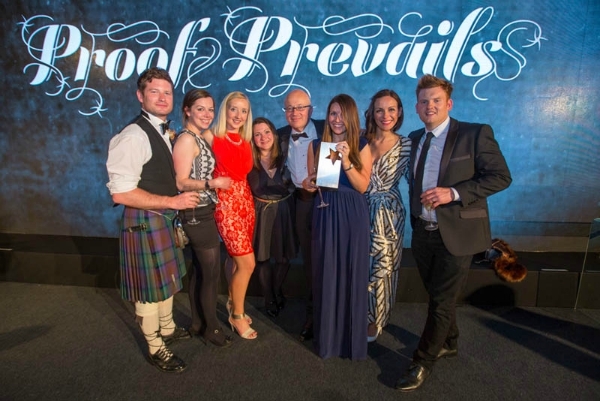 The Union team collecting the Agency of the Year 2015 award.